SEVVA and Ms B’s CAKERY do it again… as owner and creative director Bonnae Gokson indulges her passion for fashion and teams up with one of her favourite luxury fashion brands LANVIN to present a special Parisian-inspired ‘designer afternoon tea’, where light and delicate sponge cakes and finger rolls meet French haute couture at this chic rendezvous atop Prince’s Building in Central. 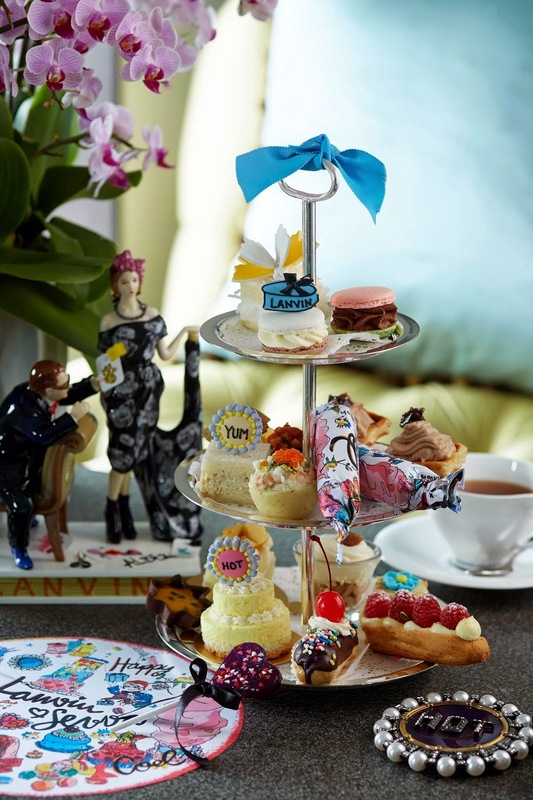 The ‘designer afternoon tea’ is the result of a creative collaboration between SEVVA’s stylish founder Bonnae Gokson and Alber Elbaz, Artistic Director of French fashion house LANVIN, who has been awarded Chevalier of the Legion d’ Honneur – France and named one of Time Magazine’s 100 Most Influential People in The World. Known for his love of sketching, Alber Elbaz’s spectacular sketches will feature on the afternoon tea set’s place mat and sandwich roll wrap to adorn the sweet collaboration. Served with a choice of coffee or tea, each ‘LANVIN Loves SEVVA’ tea set also includes a gift voucher for designer mementoes (a mirror or USB), redeemable at LANVIN’s flagship store in neighbouring Ice House Street, Central. The ‘LANVIN Loves SEVVA’ tea set is being served for an exclusively limited period from December 2 to 30, priced at HK$680* for two. A glass of Veuve Clicquot Rosé NV champagne priced at HK$250* could also be included for this ultimate French inspired treat. With this season's fashion trends, Ms Gokson will also refresh SEVVA's stunning interiors and will decorate the lounge area with hints of leopard printed cushions and a Christmas tree that will surely WOW guests especially for those who loves sweets! "I love LANVIN and am absolutely delighted to have this opportunity to work with the dynamic Alber Elbaz whom I adore as a person and designer! 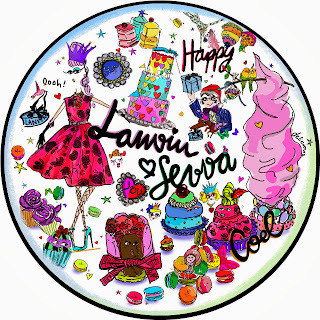 Now, he sketches LANVIN Loves SEVVA and I’m thrilled about that!" commented Ms. Gokson. “Bonnae is a remarkable woman, chic and elegant. I love her personality and I am very happy to collaborate with her on this fantastic project.” said Alber Elbaz. Sweetheart Candy Lollipop ‘LANVIN Loves SEVVA’ Afternoon Tea is served on weekdays from 2:30pm - 5pm, and Saturdays from 3pm - 5:30pm. Oh why oh why can I not visit Hong Kong? This is beautiful, almost to pretty eat!